If your toilet won’t flush, shower backs up, or sink won’t drain, the problem is likely a clogged drain. In this troubleshooting article, we’ll show you how to figure out where the clog or problem is located and give you expert advice on how to clear it. 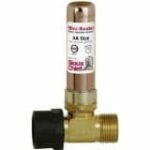 Understanding a typical house’s drain system is an important first step in figuring out where a drain clog is occurring. 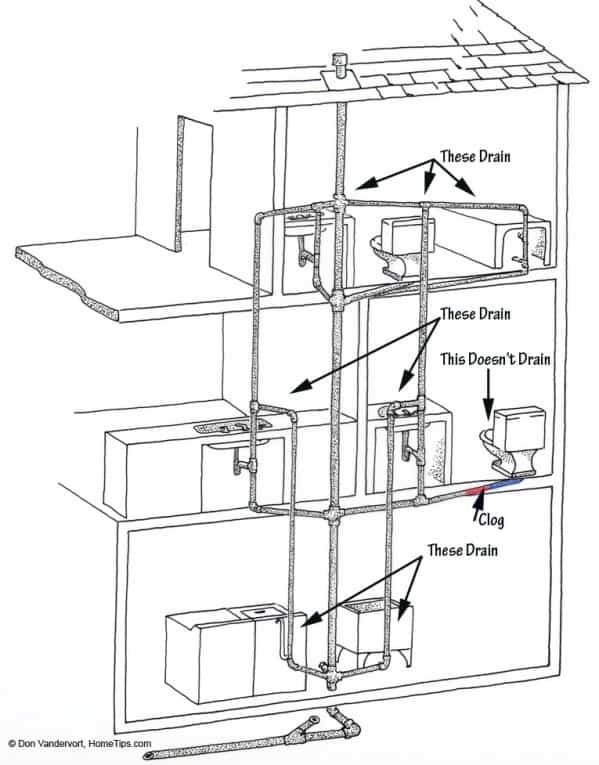 Both in the illustrations below and in the article, How Drain-Waste-Vent (DWV) Systems Work, we detail how drains carry waste water and sewage from the toilets, bathtubs, and other plumbing fixtures to the sewer or septic system. 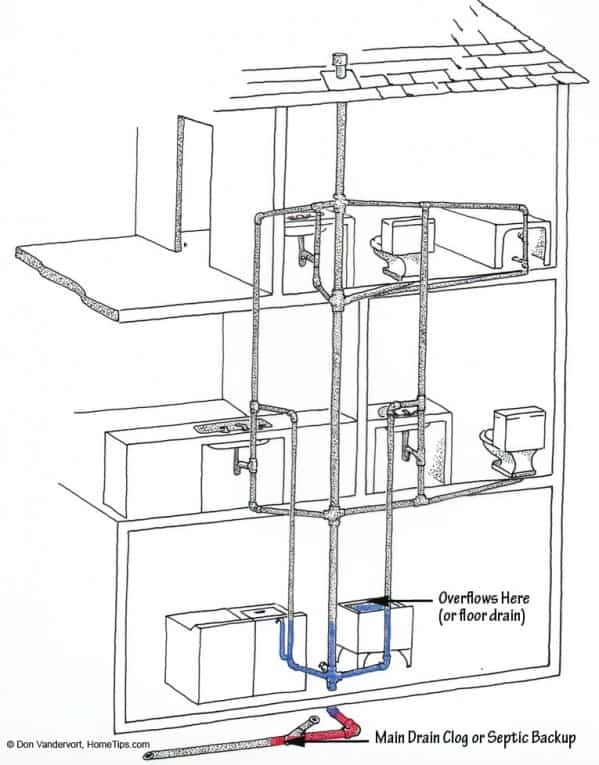 The illustration below is a cross-section of the drain-waste-vent system in a two-story house with a basement. Here you can see the dark drain and vent pipes that serve the various plumbing fixtures. 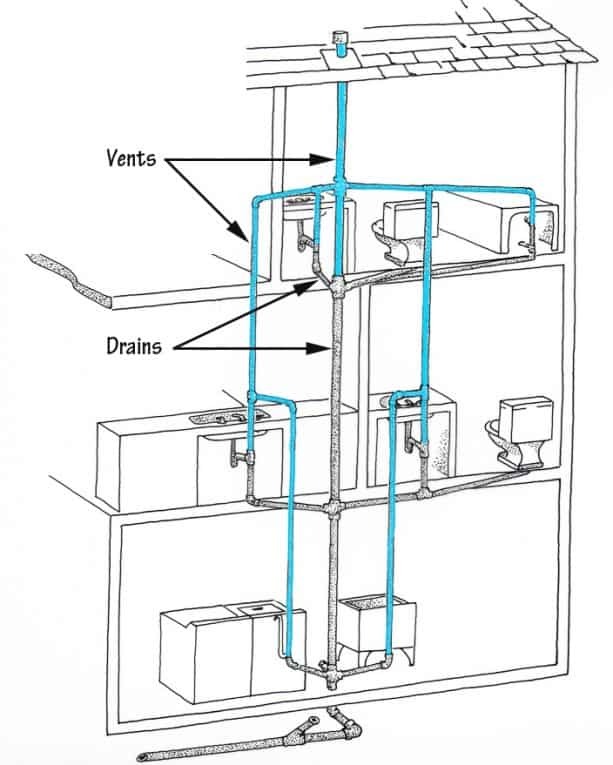 Please note: The blue vent pipes carry sewer gasses up to the top of the roof; the drain pipes carry waste and sewage down to the sewer or septic system. These illustrations will give you the background you need for putting your logic skills to work. 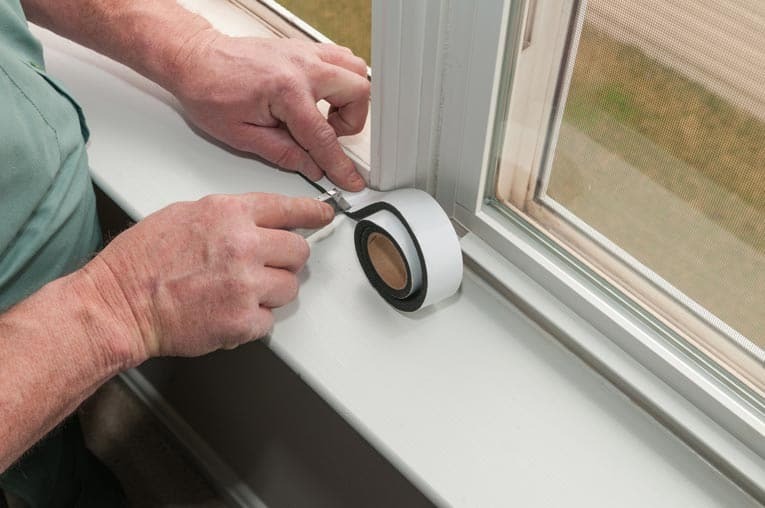 After checking out these illustrations, take your own home’s fixture layout into account, and adapt these principles to understand the connections of the drains and vents behind the walls and under the floors. If you’re able to go into your basement, doing so may give you a clearer idea of your home’s plumbing layout. Begin by determining which drains do or don’t work, and then combine this knowledge with the illustrations shown here to solve the clog’s location. 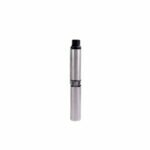 Logic generally will reveal the approximate location of the blockage. 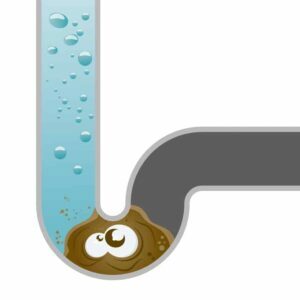 If waste and sewage are erupting from the lowest drain in the house, such as a basement floor drain or laundry sink, it only makes sense that the blockage is beyond that point—in the sewer pipe that runs through your yard, for example. Every time you flush a toilet or take a shower, water flows down the drains, hits the clog, and backs up to its nearest point of escape. A broken or clogged yard sewer pipe is a typical problem. 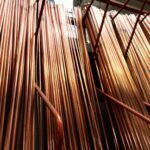 The cause is often tree roots growing into the sewer pipe or an aging pipe that is disintegrating underground (in both cases, sewage will usually pool on the ground’s surface near the problem). You’ll usually need a sewer pipe rooter service to deal with clearing sewer pipes in the yard. Some of these services will also repair the pipes; otherwise, you’ll need a local plumbing pro. This kind of backup can also occur in a home with a septic tank when the tank is full and needs to be pumped. If your home’s septic tank hasn’t been pumped out in a couple of years, call a Local Septic Tank Pumping Service. The first place to expect a drain clog is at the bottom of the fixture’s trap. If the bathroom sink doesn’t drain, but the shower, tub, and toilet do drain as they should, the clog is somewhere between the sink drain and the branch pipe it’s connected to. More often than not, it’s in the sink trap. For information on fixing this, see Sink & Drain Clogs & Repairs. 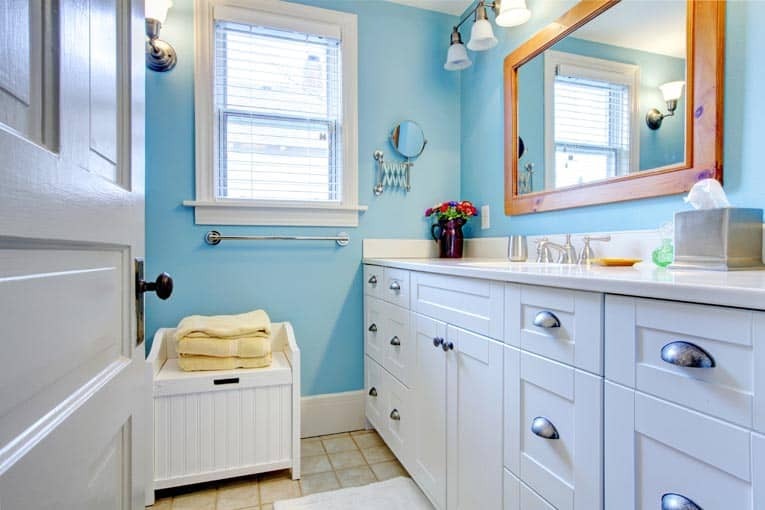 If the toilet doesn’t flush down the drain, but the bathroom sink, tub, and/or shower drain properly (as shown in the drawing below), the clog usually belongs solely to the toilet. In most case, it’s located in the base of the toilet or in the main pipe that the toilet connects to. For information on dealing with toilet flush problems, please see Toilet Flushes Poorly.